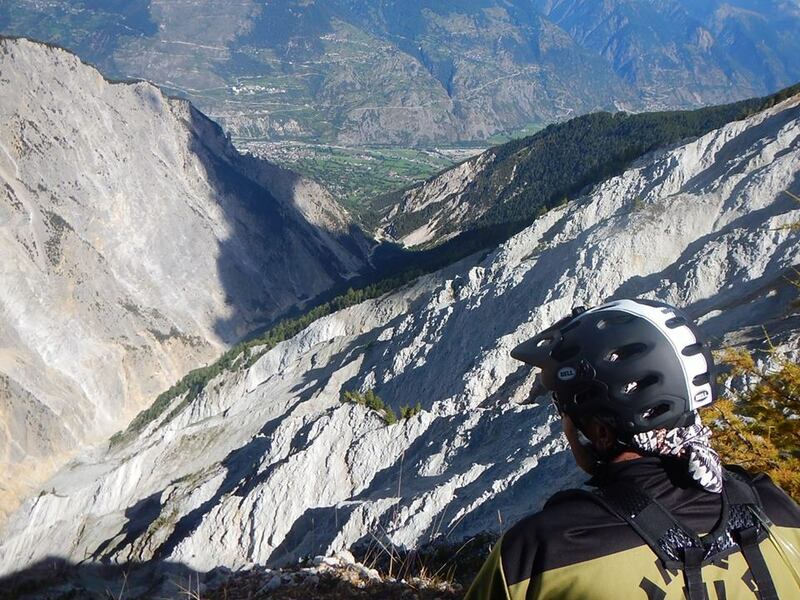 Adventurous, epic enduro riding in the beautiful Swiss Alps. Anything from 4 to 8 days including arrival and departure days. 6 days of guiding (2.5 days of guiding for a long weekend) with half board accommodation (dinner, bed and breakfast), van support and airport transfers from and back to Geneva. 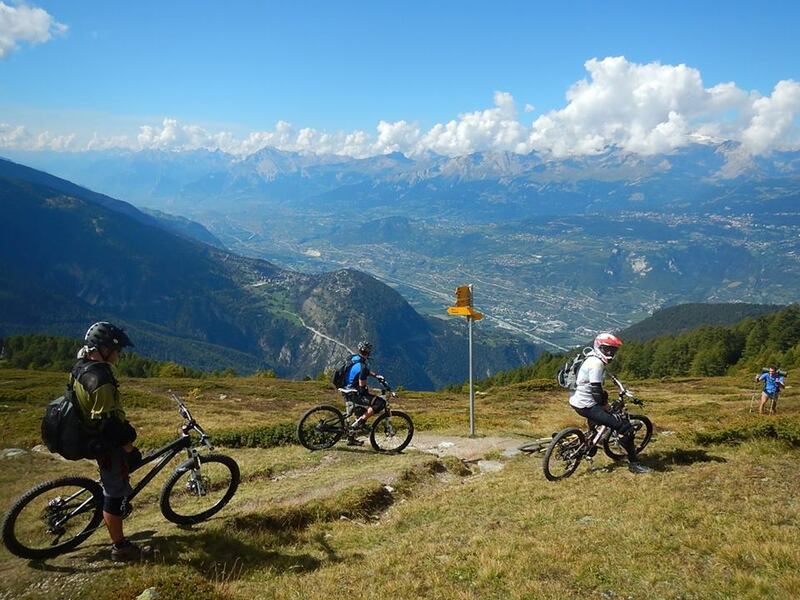 During this trip you’ll explore some of the best quality, little-known single track in the Swiss Alps. It’s all about big mountains, big views and big descents. Prices from 1,080 euro p.p. for a week, from 480 euro p.p for a long weekend or mid-week break. Email us for a quote specific to your group size and needs. The package includes six days of guiding (2.5 days of guiding for a long weekend) with half board accommodation (dinner, bed and breakfast), van support and airport transfers airport transfers from and back to Geneva. We are very flexible on the length of these trips. You choose the number of days of guided riding you require. There is the option of adding in an outstanding mini point-to-point adventure into the week long itinerary with a memorable night in a high alpine refuge. Email us for more information. When can I ride the route? Choose your own dates. We will run this trip from early May to early October. If you are a single rider looking to join a group please email us to register your interest. Fly or take the train to Geneva airport and we will arrange collect you and take you to your accommodation. Or you can drive direct. 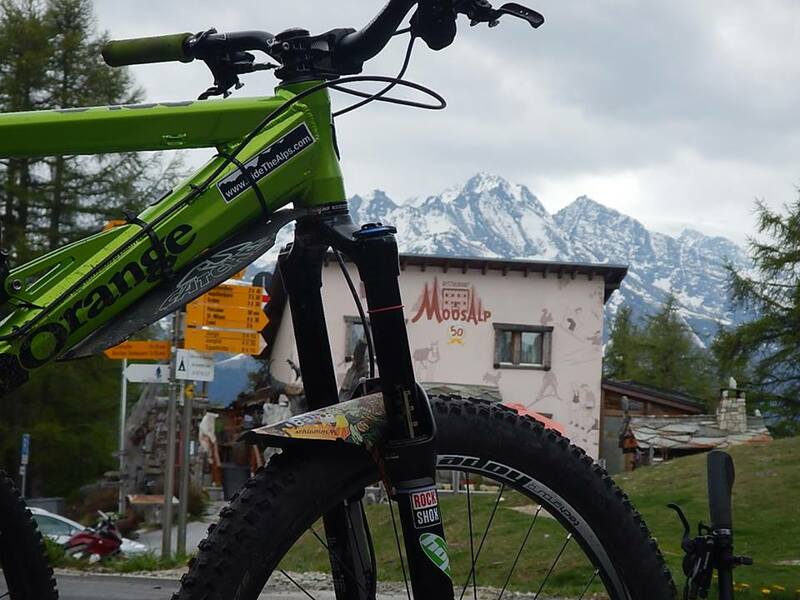 Our Alpine Enduro trips are designed for experienced mountain bikers who are reasonably fit and ride regularly. You don’t have to be an enduro racer to ride these trips. 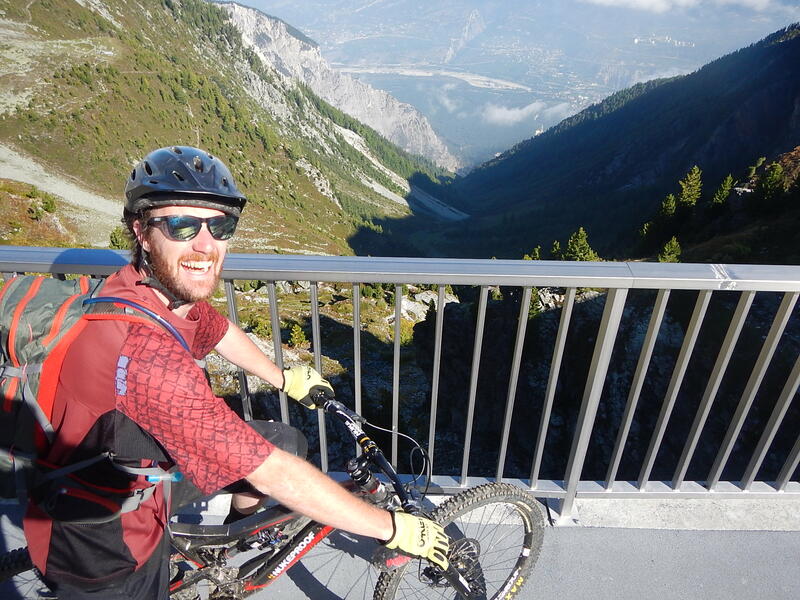 The riding in the Alps is hugely varied and it can be very technically demanding in places. It is definitely a step-up from UK enduro riding. We take full advantage of the excellent network of cable cars, trains and buses in the area but there is still some uphill peddling to be done. We aim to do as much riding as possible in a few different areas, aimed at the level to suit your group. Email us for more information. The maximum altitude is approximately 2,650m so there are no problems with altitude sickness but you may still feel the altitude in your lungs on the climbs. The week long trip is a double centre-based trip. For a short break we stay in just one place. We use good quality 3* hotel accommodation with ensuite rooms. What sort of bike do I need to bring? An enduro or all-mountain style mountain bike with 5-6 inch travel. Your bike must be in good working order, recently serviced prior to the trip. Full suspension and disc brakes and tyres suitable for steep rocky terrain are all necessary for this trip.